After the event of Karbala, Yazid thought he had won. He thought he had hidden the truth. 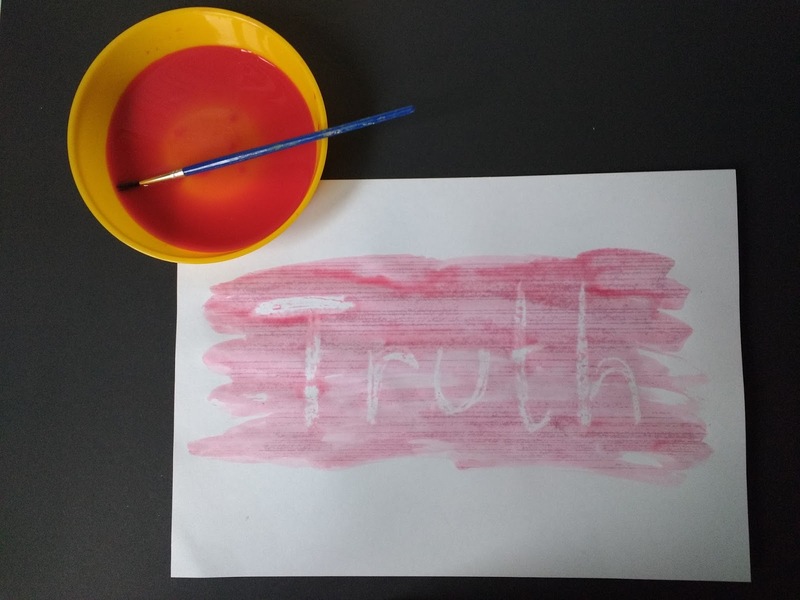 Write the word TRUTH on a piece of white paper, using a white crayon or candle. Lady Zainab (as) and Imam Sajjad (as) were put through so many difficulties, but they made sure that they told everyone the truth about who they were, and what had happened to the family of the Holy Prophet (SAW) in Karbala. Have the children paint over the paper with liquid watercolour paint to reveal the hidden words. 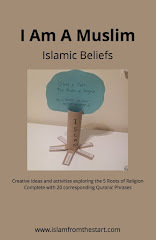 With the help of Allah, the truth was made clear. Over 1000 years later, millions of people all over the world still remember Imam Husayn (as) and his family. Yazid was not able to hide the truth. It was clear for everyone to see that it is only Allah’s rules which must be followed and that what Yazid had done was wrong. Whatever happens, however hard it is to tell the truth, remember Karbala and never let anyone make you hide the truth. It can sometimes be scary and difficult, but we must always 'be with the saadiqeen’ and make the truth clear by doing and saying what is right, even if no-one else will. Talk about how you often have to make a choice of covering up the truth or being honest. Make it clear that although people involved may be upset by what has happened that you are trying to hide, they will always be grateful and proud that you told the truth. There may still be consequences for your actions but telling the truth is more important and loved by Allah. Discuss the importance and need to help make the truth clear for others by speaking up for someone who may be wronged.